Over 30 years of systematic research on the prehistoric surface-faulting earthquakes of Utah’s Wasatch fault zone have made it arguably the most well-studied long, segmented normal fault in the world. Most of this research has focused on the central segments (Brigham City, Weber, Salt Lake City, Provo, and Nephi), which are the most active fault segments in Utah and also happen to be where the vast majority of Utah’s citizens reside. 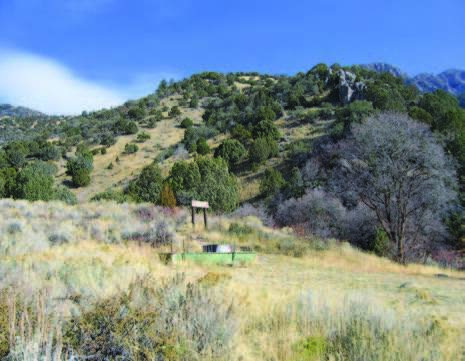 At the more sparsely populated ends of the Wasatch fault zone, the less active Levan and Fayette segments (south end) and Collinston, Clarkston Mountain, and Malad City segments (north end) have received much less attention from researchers. 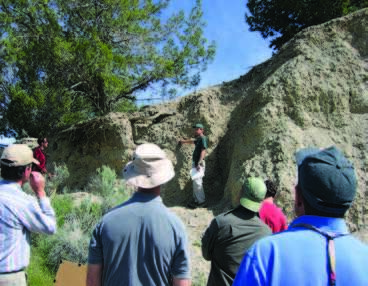 As part of a three-year (2003- 05) cooperative agreement with the U.S. Geological Survey (USGS), the Utah Geological Survey (UGS) performed geologic studies on the end segments of the Wasatch fault zone in Utah to gain a better understanding of the earthquake hazards associated with these fault segments. The studies included detailed surficial-geologic mapping of the Levan and Fayette segments, detailed reconnaissance of key sites on the Collinston and Clarkston Mountain segments, and fault-scarp studies on all four segments. The Malad City segment, entirely in Idaho, remains relatively unstudied. The mapping of the Levan and Fayette segments follows a concerted effort by USGS geologists in the mid- 1980s to map the Brigham City, Weber, Salt Lake City, and Provo segments, and later mapping of the Nephi segment by UGS and USGS geologists. 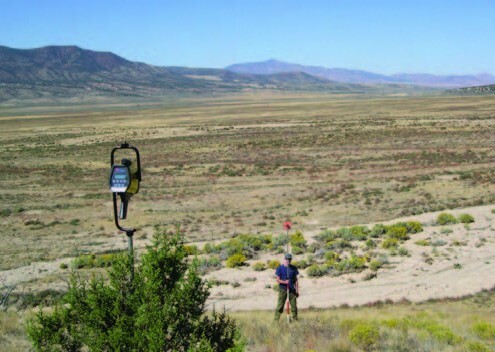 Now, the entire length of the Wasatch fault zone having evidence for surface faulting in the Holocene Epoch—that is, earthquakes during the past 10,000 years large enough to create a fault scarp—has been geologically mapped at a scale of 1:50,000. In a large normal-faulting earthquake (magnitude 6.5 or greater), the amount of vertical movement on the fault deep in the Earth’s crust is sufficient to rupture and offset the ground surface, producing a steep break or scarp. Topographic profiles measured across fault scarps, combined with information on the age of the faulted deposits, can provide insights into several important questions regarding large prehistoric earthquakes on a particular fault: (1) The height and shape of a fault scarp can indicate if the scarp formed as the result of a single earthquake or multiple earthquakes. (2) The height of a scarp is proportional to the vertical slip on the fault, which in turn relates to earthquake size (magnitude). (3) Relationships between scarp height and the steepness of the weathered scarp face can be used to determine timing of the scarp-forming earthquake, at least in a relative sense. USGS geologist and veteran Wasatch fault researcher Michael Machette provided data from 40 scarp profiles that he measured on the Levan and Fayette segments during a reconnaissance study in 1984. Chris DuRoss (UGS) and I measured an additional 12 scarp profiles for a sizeable dataset of 52 profiles. Unfortunately, the dataset for the Collinston and Clarkston Mountain segments consists of only two profiles due to a lack of scarps, as discussed below. The mapping and profile data, combined with information from a research trenching study completed in 1991, indicate that the Levan segment has had one or possibly two surface-faulting earthquakes in the Holocene. This is a lower frequency of large earthquakes compared to the more central segments of the Wasatch fault zone, each of which has evidence for three or more surface-faulting earthquakes in the Holocene. The Fayette segment has had one large earthquake that may have occurred as recently as the early Holocene. The profile data suggest complex patterns of surface faulting on these two segments, with some ruptures spilling over onto the adjacent segment during an earthquake (a phenomenon that has been observed during historical earthquakes on other segmented normal faults in the region). 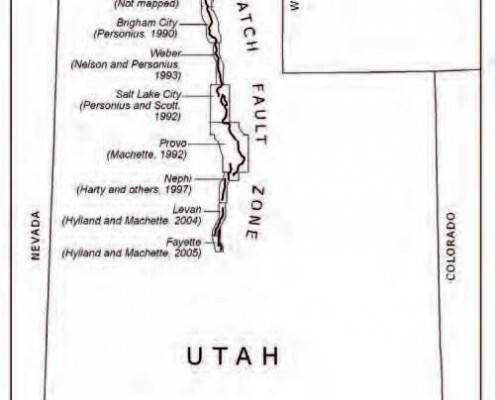 The Collinston and Clarkston Mountain segments are the least active segments of the Wasatch fault zone in Utah. These segments lack fault scarps on geologically young deposits; any scarps that may have existed at one time are now buried beneath sediment deposited in prehistoric Lake Bonneville during its maximum extent— the Bonneville highstand—around 18,000 years ago, and there have been no surface-faulting earthquakes since that time. 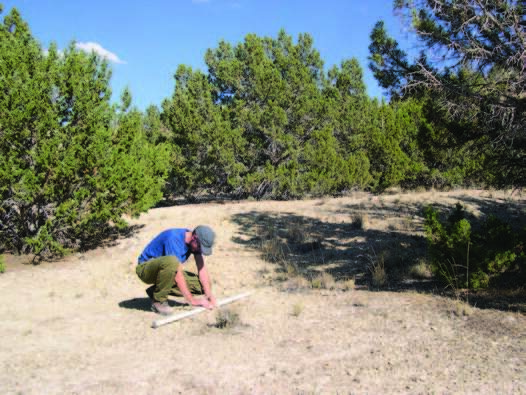 I was able to measure only two profiles across a scarp on pre-Bonneville deposits on the Clarkston Mountain segment. The profiles indicate the scarp formed from two earthquakes, the most recent having occurred shortly before the Bonneville highstand. When compared to the length of the segment, the amount of vertical ground-surface offset during each earthquake (6 feet [2 m]) suggests a longer rupture is needed to produce the observed offset. Therefore, during a large earthquake on the Clarkston Mountain segment, at least part of an adjacent segment probably ruptures simultaneously. 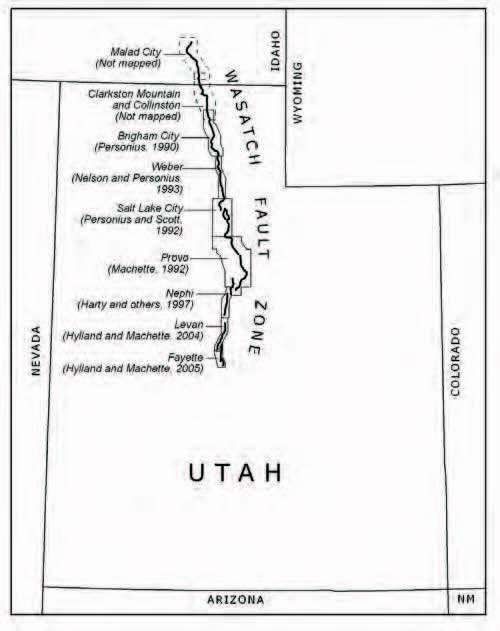 The segments at the ends of the Wasatch fault zone have been less active in recent geologic time and expose far fewer people to earthquake hazards as compared to the more central segments. Nonetheless, fault movement on these segments could produce earthquakes of about magnitude 6.9, potentially generating hazardous geologic effects over large areas. Our recent studies give us a better understanding of the earthquake hazards associated with these segments, which ultimately helps us reduce seismic risk in Utah.